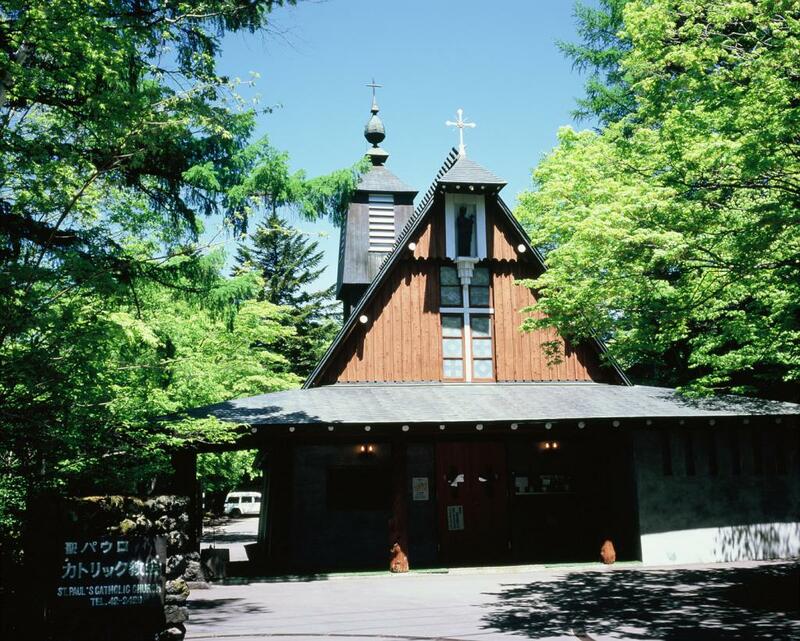 Karuizawa was popular in the late 1800s and early 1900s with the Western missionaries in Tokyo as a summer resort. One such missionary, Father Ward from England, built St. Paul Catholic Church in 1935. Designed by A. Raymond, the architecture is characterized by its steep, 3-sided roof with a large steeple and exposed concrete. St. Paul Catholic Church is a popular symbol of Kariuzawa. 7:00-18:00 (closes at sundown in the winter). Open daily. Entrance not possible during mass or when in use. From Karuizawa Station(JR Hokuriku(Nagano) Shinkansen), From the Kita-Guchi (north) exit, take the Kusa-Karu Bus from platform #4 (Loop Bus, Inner Route), Kyukaruizawa stop (approx. 5 min), then 6 min on foot.